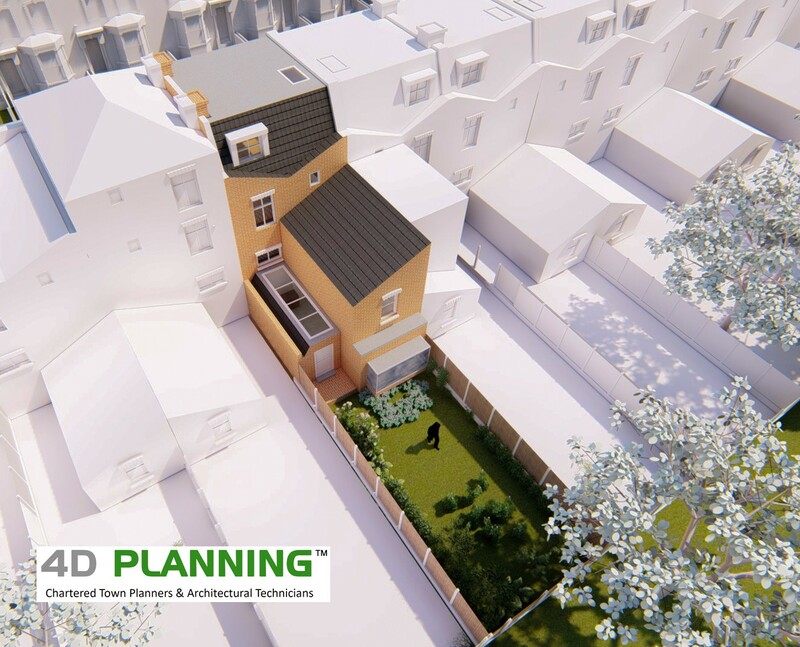 4D Planning advised the client on what they can or cannot achieve. 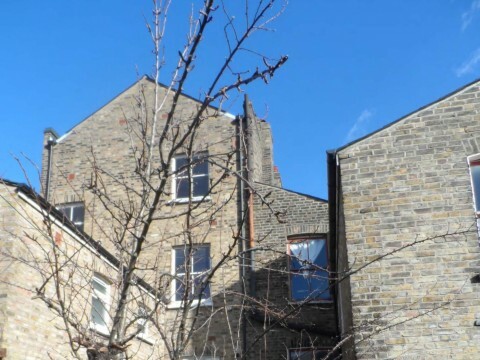 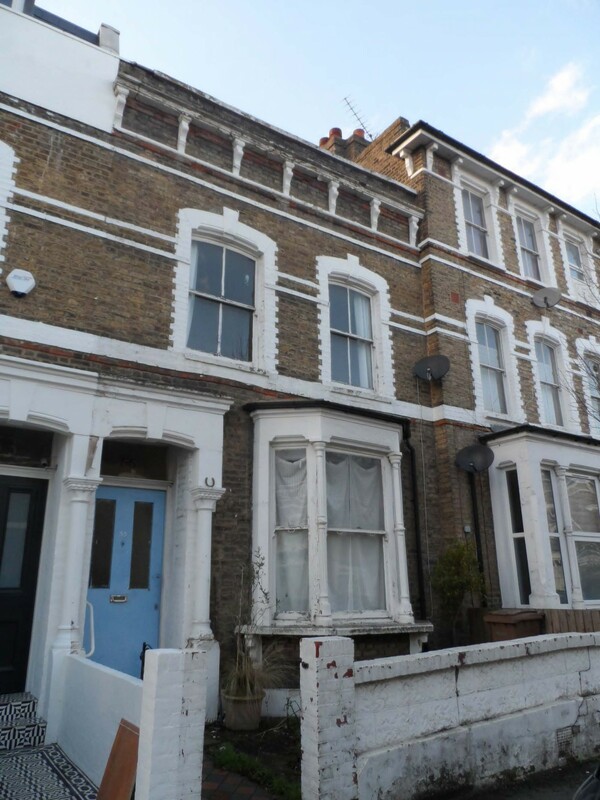 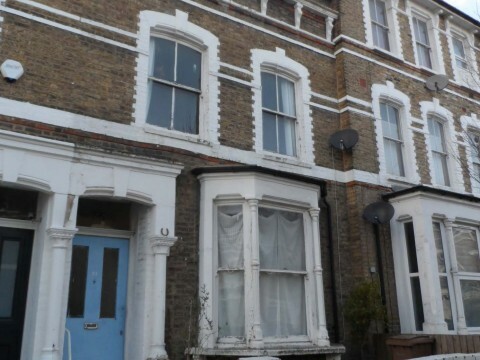 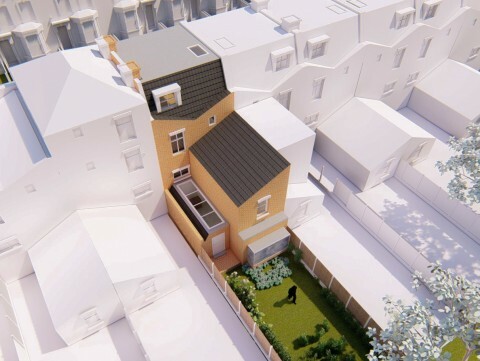 There was precedent for a similar mansard roof extension on the roof, but there was limited precedent for the basement extension and front lightwell. 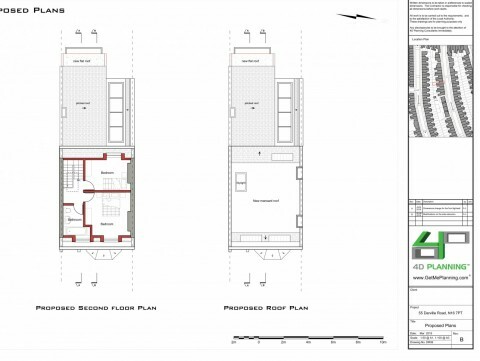 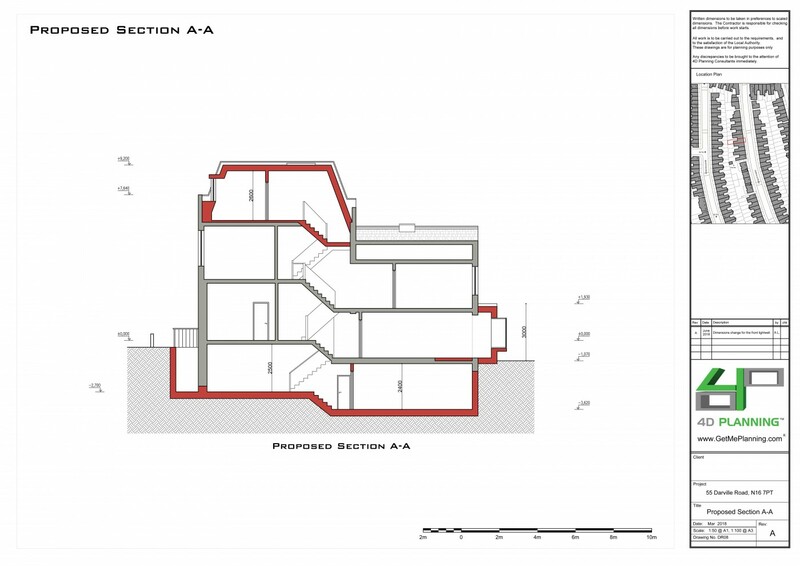 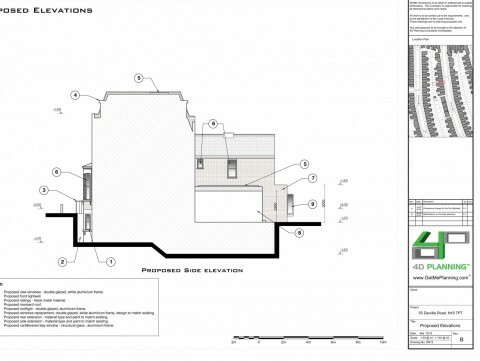 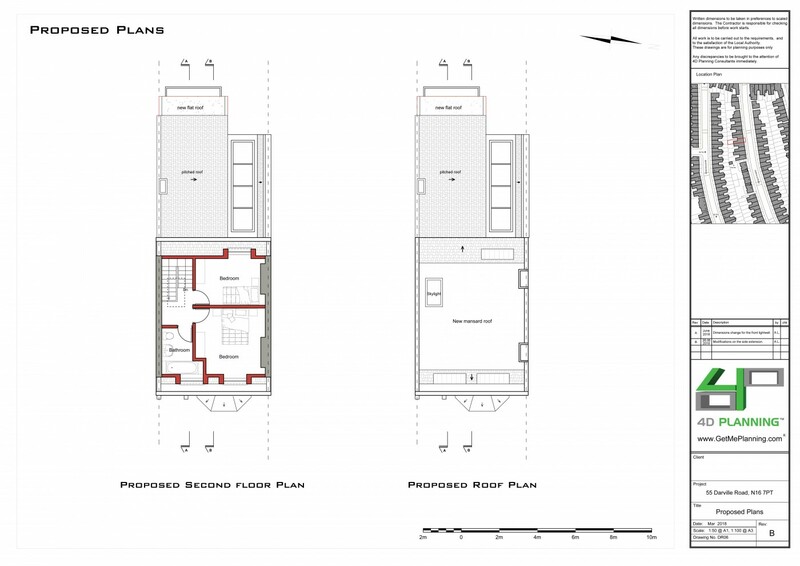 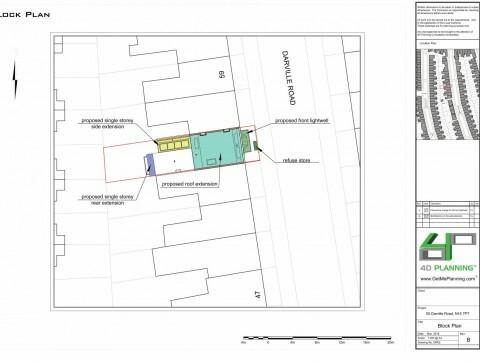 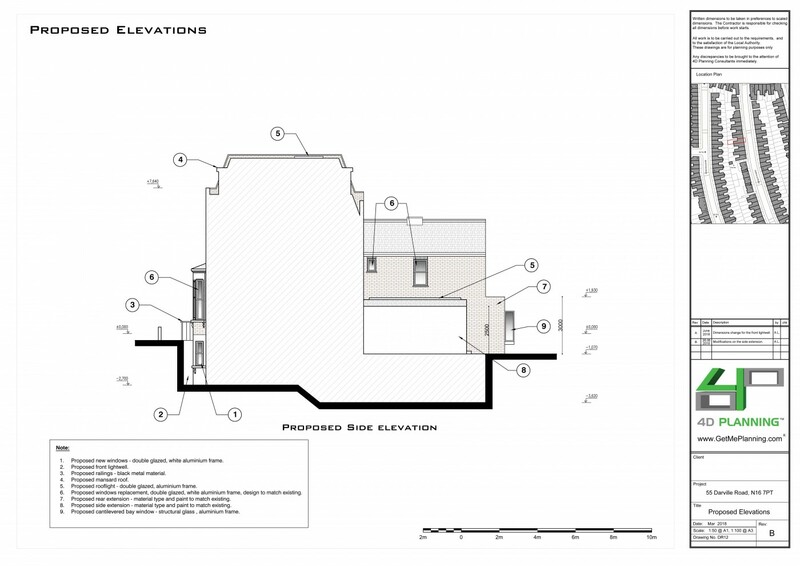 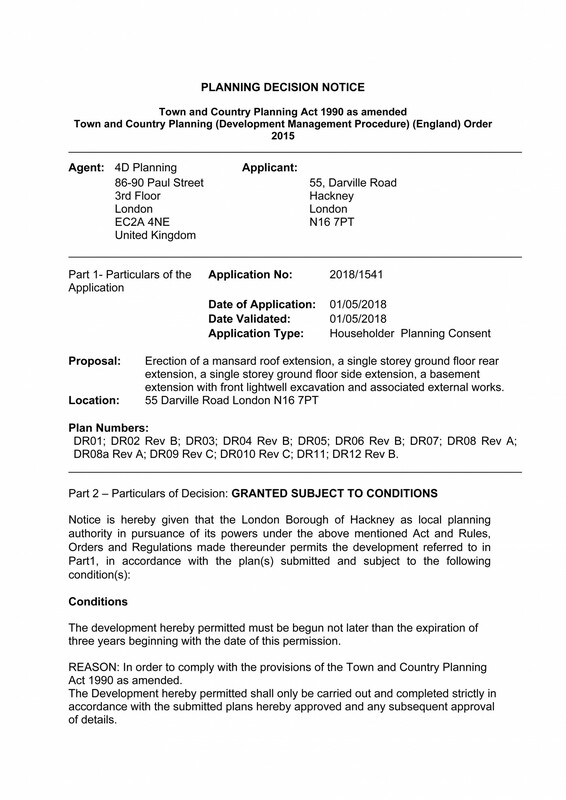 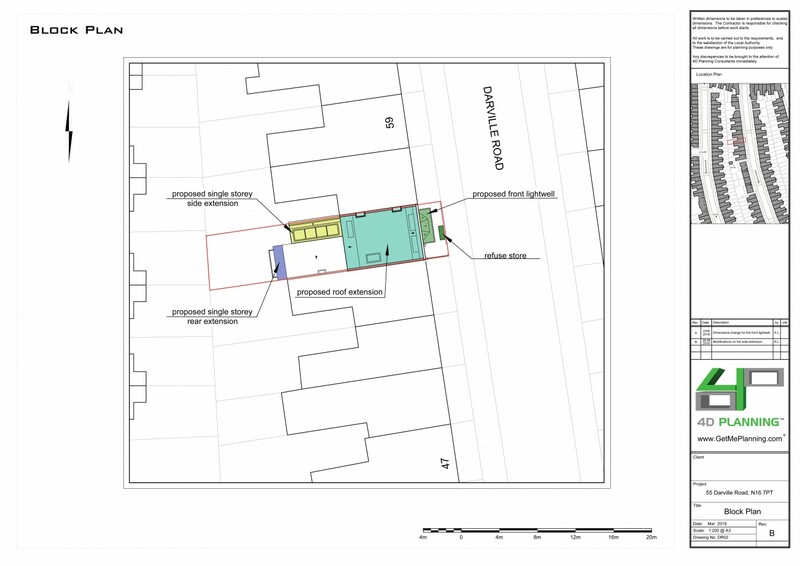 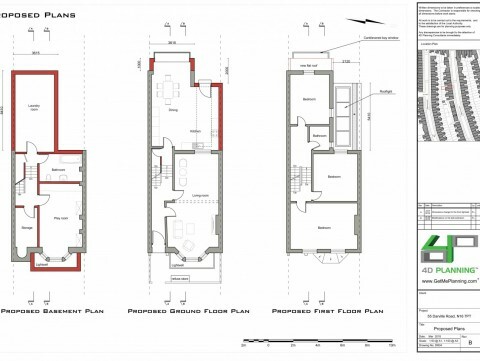 4D Planning were instructed to prepare the planning application. 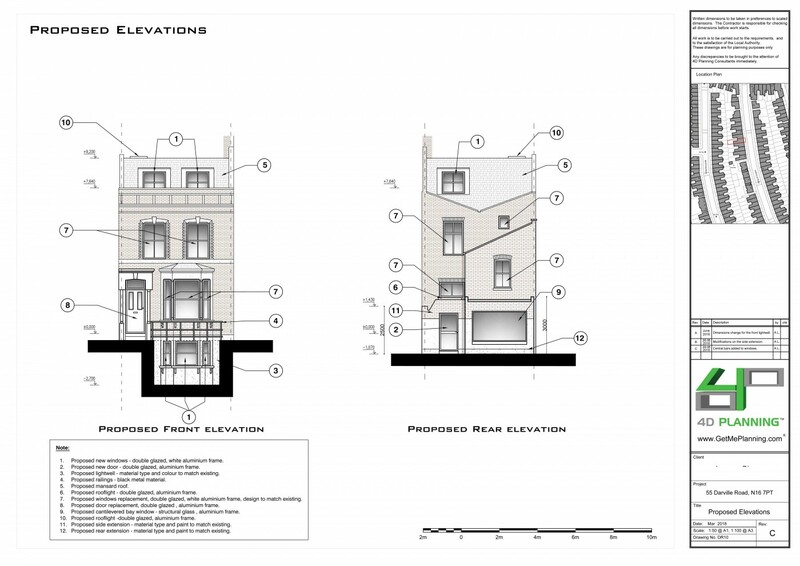 We liaised with the planners at Hackney Council and negotiated the design of the extensions, especially the front lightwell. 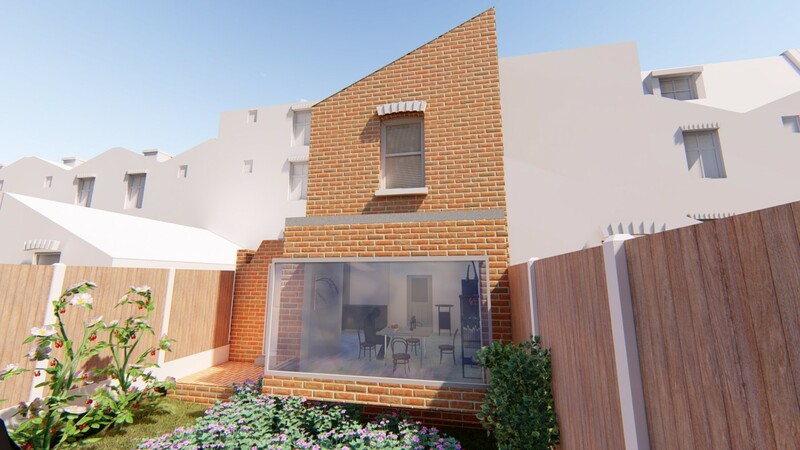 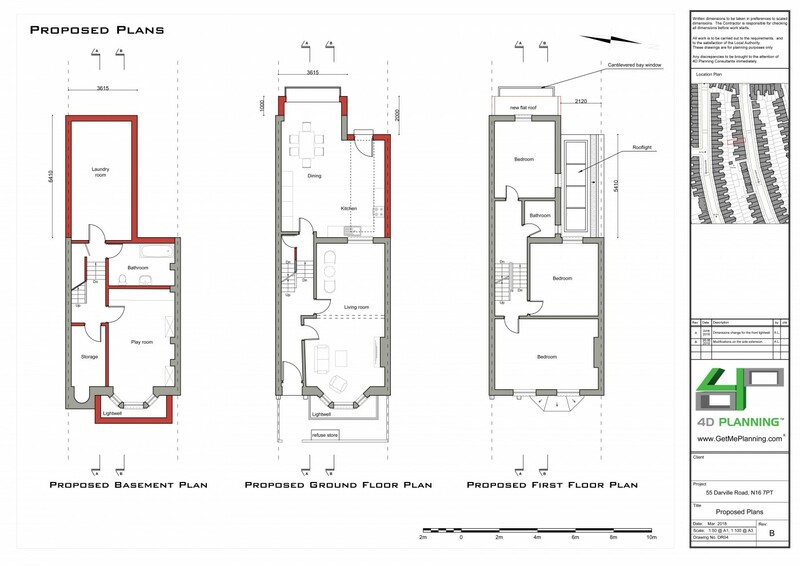 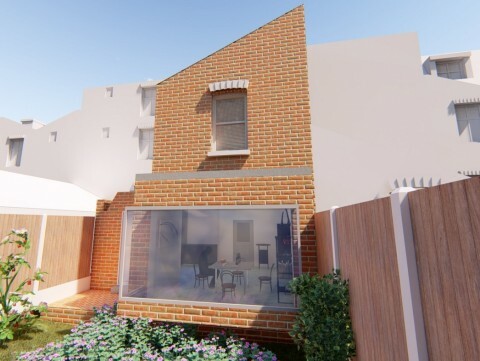 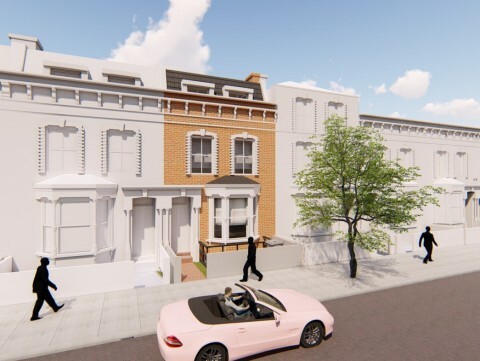 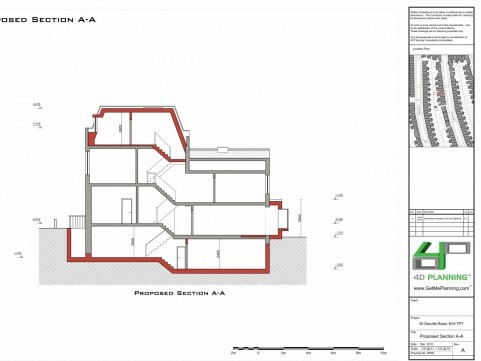 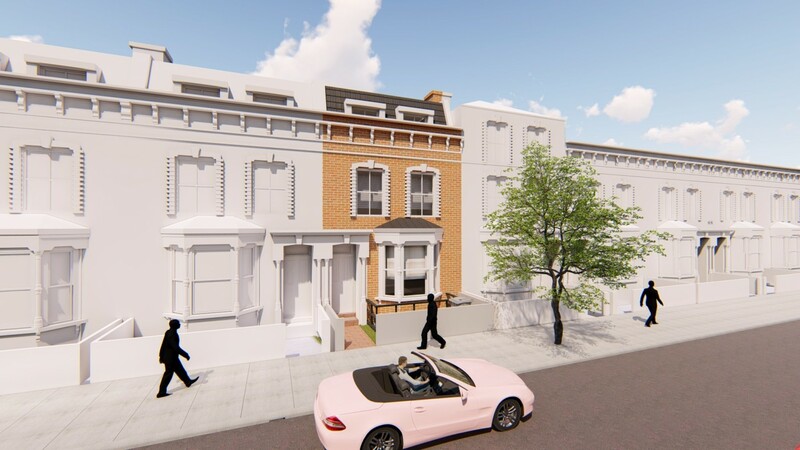 We prepared the architectural drawings and designed the extensions and internal layouts to include a large mansard roof extension with dormers, side infill extension, rear extension with feature window and an extension to the basement with the front lightwell. 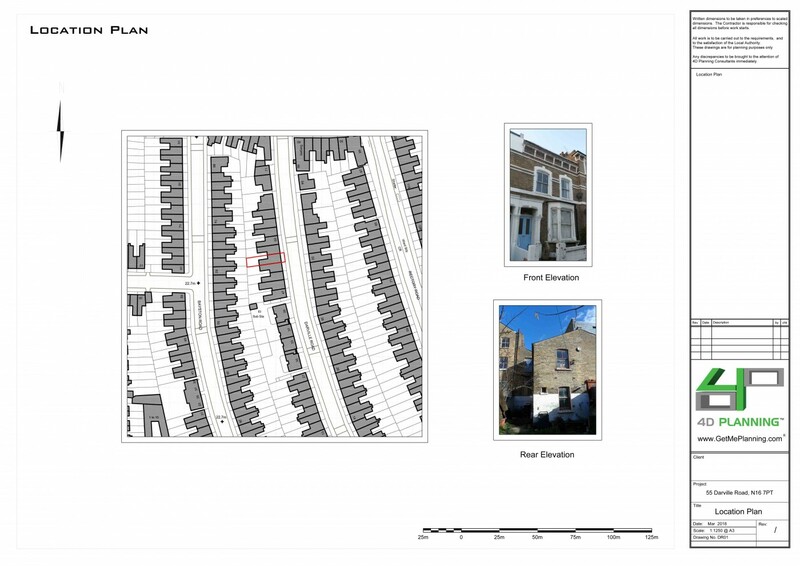 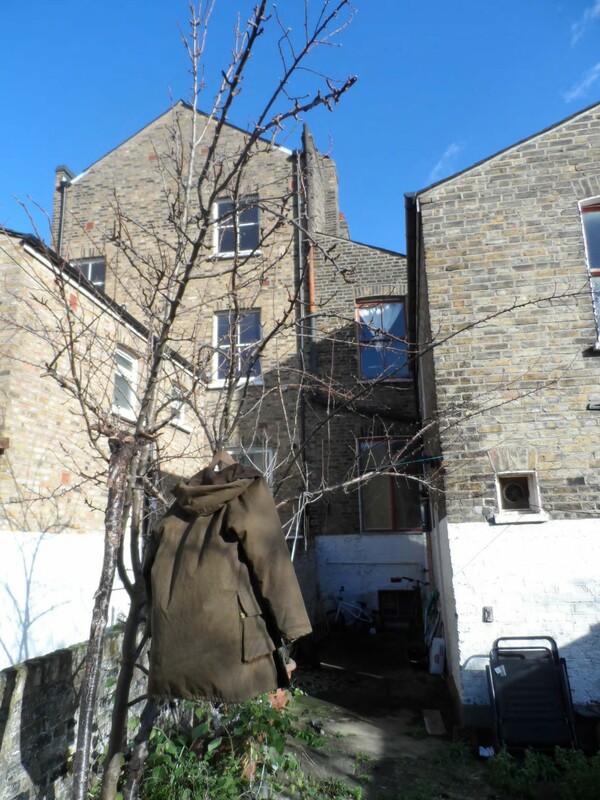 We prepared a convincing statement to accompany the application and we negotiated hard with the planners (who always like to have the last say). 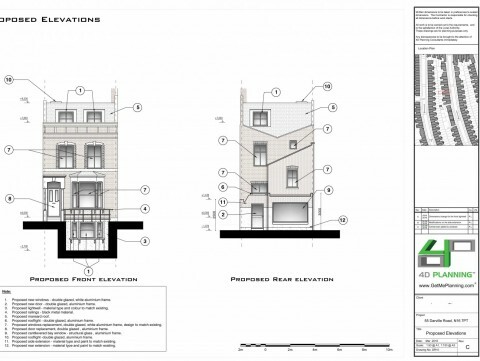 We eventually were GRANTED planning permission for what we had originally applied for. 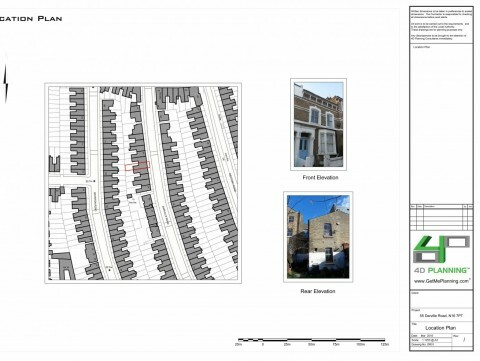 4D Planning produced the 3D visuals which are featured on this page.